a With permission from Loague and Green (1991). 'Pi, predicted value i; Oi, observed value i; O, mean of observed values; n, number of data pairs. single largest difference between a pair of predicted and observed values. The root mean square error represents the total difference between the predicted and the observed values, proportioned against the mean observed value. Modeling efficiency (EF) assesses the accuracy of simulations by comparing the variance of predicted from observed values to the variance of observed values from the mean of the observations. The EF is essentially a comparison of the efficiency of the chosen model to the efficiency of a very simple predictive model: the mean of the observations. The coefficient of determination is a measure of the proportion of the total variance in the observed data that is explained by the predicted data. Last, the coefficient of residual mass gives an indication of the consistent errors in the distribution of all simulated values across all measurements. Ultimately, a model that performs well (i.e., in which modeled output matches observations reasonably well) is not necessarily a "good" model. A good model is conceptually clear and can be easily communicated to others. A bad model may perform well, but because it can be inspected and modified only with great difficulty, there is no way to determine if the validation is pure chance or something meaningful. It is important that the user understand the assumptions and limitations of a selected model at each stage of its use and application. Biol. Biochem. 26, 143-148. Bosatta, E., and Agren, G. I. (1995). The power and reactive continuum models as particular cases of the Q-theory of organic matter dynamics. Geochim. Cosmochim. Acta 59, 3833-3835. Chertov, O. G. (1990). SPECOM—a single tree model of pine stand raw humus soil ecosystem. Ecol. Model. 50, 107-132. Chertov, O. G., Kornarov, A. S., Crocker, G., Grace, P., Klir, J., Korschens, M., Poulton, P. R., and Richter, D. (1997). Simulating trends of soil organic carbon in seven long-term experiments using the SOMM model of the humus types. Geoderma 81, 121-135. de Willigen, P. (1991). Nitrogen turnover in the soil-crop system: comparison of fourteen simulation models. Fertil. Res. 27, 141-149. Ellert, B. H., and Bettany, J. R. (1988). Comparison of kinetic models for describing net sulfur and nitrogen mineralization. Soil Sci. Soc. Am. J. 52, 1692-1702. Elliott, E. T., Paustian, K., and Frey, S. D. (1996). Modeling the measurable or measuring the mode-lable: a hierarchical approach to isolating meaningful soil organic matter fractionations. In "Evaluation of Soil Organic Matter Models" (D. S. Powlson et al., eds. ), Vol. 138, pp. 161-180. Springer-Verlag, Berlin. Franko, U., Crocker, G. J., Grace, P. R., Klir, J., Korschens, M., Poulton, P. R., and Richter, D. (1997). Simulating trends in soil organic carbon in long-term experiments using the CANDY model. Geoderma 81, 109-120. Franko, U., Oelschlagel, B., and Schenk, S. (1995). Simulation of temperature, water and nitrogen dynamics using the model CANDY. Ecol. Model. 81, 213-222. Frissel, M. J., and Van Veen, J. A. (1982). A review of models for investigating the behavior of nitrogen in soil. Philos. Trans. R. Soc. London B 296, 341-349. Grant, R. F. (2001). A review of the Canadian ecosystem model ecosys. In "Modeling Carbon and Nitrogen Dynamics for Soil Management" (M. J. Shaffer et al., eds. ), pp. 173-264. CRC Press, Boca Raton, FL. Grant, R. F., Juma, N. G., and McGill, W. B. (1993a). Simulation of carbon and nitrogen transformations in soil—mineralization. Soil Biol. Biochem. 25, 1317-1329. Grant, R. F., Juma, N. G., and McGill, W. B. (1993b). Simulation of carbon and nitrogen transformations in soil—microbial biomass and metabolic products. Soil Biol. Biochem. 25, 1331-1338. Hansen, S., Jensen, H. E., Nielsen, N. E., and Svendsen, H. (1991). Simulation of nitrogen dynamics and biomass production in winter-wheat using the Danish simulation-model. Daisy. Fertil. Res. 27, 245-259. Hunt, H. W., Coleman, D. C., Cole, C. V., Ingham, R. E., Elliott, E. T., and Woods, L. E. (1984). Simulation model of a food web with bacteria, amoebae and nematodes in soil. In "Current Perspectives in Microbial Ecology" (M. J. Klug and C. A. Reddy, eds. ), pp. 346-352. Am. Soc. Microbiol., Washington, DC. Hunt, H. W., Coleman, D. C., Ingham, E. R., Ingham, R. E., Elliott, E. T., Moore, J. C., Rose, S. L., Reid, C. P. P., and Morley, C. R. (1987). The detrital food web in a shortgrass prairie. Biol. Fertil. Soils 3, 57-68. Jenkinson, D. S. (1990). The turnover of organic carbon and nitrogen in soil. Philos. Trans. R. Soc. London B 329, 361-368. Jenkinson, D. S., and Rayner, J. H. (1977). Turnover of soil organic matter in some of Rothamsted classical experiments. Soil Sci. 123, 298-305. Jenkinson, D. S., Harkness, D. D., Vance, E. D., Adams, D. E., and Harrison, A. F. (1992). Calculating net primary production and annual input of organic matter to soil from the amount and radiocarbon content of soil organic matter. Soil Biol. Biochem. 24, 295-308. Jenkinson, D. S., Hart, P. B. S., Rayner, J. H., and Parry, L. C. (1987). Modelling the turnover of organic matter in long-term experiments. Intercoll. Bull. 15, 1-8. Jenny, H. (1941). "The Factors of Soil Formation." McGraw-Hill, New York. Jones, C. A., Cole, C. V., Sharpley, A. N., and Williams, J. R. (1984). A simplified soil and plant phosphorus model. 1. Documentation. Soil Sci. Soc. Am. J. 48, 800-805. Kelly, R. H., Parton, W. J., Crocker, G. J., Graced, P. R., Klir, J., Korschens, M., Poulton, P. R., and Richter, D. D. (1997). Simulating trends in soil organic carbon in long-term experiments using the century model. Geoderma 81, 75-90. Lewis, D. R., and McGechan, M. B. (2002). A review of field scale phosphorus dynamics models. Biosyst. Eng. 82, 359-380. Li, C. S., Frolking, S., and Frolking, T. A. (1992a). A model of nitrous-oxide evolution from soil driven by rainfall events. 1. Model structure and sensitivity. J. Geophys. Res. 97, 9759-9776. Li, C. S., Frolking, S., and Frolking, T. A. (1992b). A model of nitrous-oxide evolution from soil driven by rainfall events. 2. Model applications. J. Geophys. Res. 97, 9777-9783. Li, C., Frolking, S., Crocker, G. J., Grace, P. R., Klir, J., Korchens, M., and Poulton, P. R. (1997). Simulating trends in soil organic carbon in long-term experiments using the DNDC model. Geoderma 81, 45-60. Loague, K., and Green, R. E. (1991). Statistical and graphical methods for evaluating solute transport models: overview and application. J. Contam. Hydrol. 7, 51-73. McGill, W. B. (1996). Review and classification of ten soil organic matter (SOM) models. In "Evaluation of Soil Organic Matter Models" (D. S. Powlson et al., eds. ), Vol. 138, pp. 111-132. Springer-Verlag, Berlin. Ecosystem Strategies and Management Impacts" (F. E. Clark and T. Rosswall, eds. ), pp. 49-115. Swedish Nat. Sci. Rsch. Council, Stockholm. Molina, J. A. E., and Smith, P. (1998). Modeling carbon and nitrogen processes in soils. In "Advances in Agronomy" (D. L. Sparks, ed. ), Vol. 62, pp. 253-298. Academic Press, San Diego. Molina, J. A. E., Clapp, C. E., Shaffer, M. J., Chichester, F. W., and Larson, W. E. (1983). NCSOIL, a model of nitrogen and carbon transformations in soil: description, calibration, and behavior. Soil Sci. Soc. Am. J. 47, 85-91. Molina, J. A. E., Crocker, G. J., Grace, P. R., Klir, J., Korschens, M., Poulton, P. R., and Richter, D. D. (1997). Simulating trends in soil organic carbon in long-term experiments using the NCSOIL and NCSWAP models. Geoderma 81, 91-107. Mueller, T., Jensen, L. S., Hansen, S., and Nielsen, N. E. (1996). Simulating soil carbon and nitrogen dynamics with the soil-plant-atmosphere system model DAISY. In "Evaluation of Soil Organic Matter Models Using Existing Long-Term Datasets" (D. S. Powlson et al., eds. ), Vol. 38, pp. 275-282. Springer-Verlag, Berlin. Parton, W. J. (1996). The CENTURY model. In "Evaluation of Soil Organic Matter Models Using Existing Long-Term Datasets" (D. S. Powlson et al., eds. ), Vol. 38, pp. 283-293. Springer-Verlag, Berlin. Parton, W. J., Schimel, D. S., Cole, C. V., and Ojima, D. S. (1987). Analysis of factors controlling soil organic matter levels in Great-Plains grasslands. Soil Sci. Soc. Am. J. 51, 1173-1179. Parton, W. J., Woomer, P. L., and Martin, A. (1994). Modelling soil organic matter dynamics and plant productivity in tropical ecosystems. In "The Biological Management of Tropical Soil Fertility" (P. L. Woomer and M. J. Swift, eds. ), pp. 121-188. Wiley-Sayce, Chichester. Paul, E. A., Follett, R. F., Leavitt, S. W., Halvorson, A., Peterson, G. A., and Lyon, D. J. (1997). Radiocarbon dating for determination of soil organic matter pool sizes and dynamics. Soil Sci. Soc. Am. J. 61, 1058-1067. Paustian, K. (1994). Modelling soil biology and biochemical processes for sustainable agriculture research. 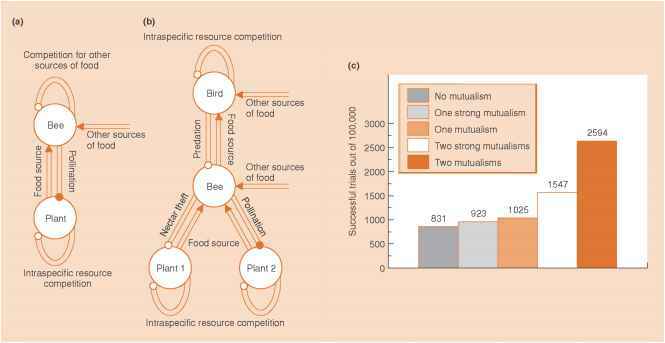 In "Soil Biota: Management in Sustainable Farming Systems" (C. E. Pankhurst et al., eds. ), pp. 182-193. CSIRO Pub., Collingwood. Paustian, K. (2001). Modelling soil organic matter dynamics—global challenges. In "Sustainable Management of Soil Organic Matter" (R. M. Rees et al., eds. ), pp. 43-53. CAB International, Wallingford, UK. Paustian, K., Andren, O., Clarholm, M., Hansson, A. C., Johansson, G., Lagerlof, J., Lindberg, T., Pettersson, R., and Sohlenius, B. (1990). Carbon and nitrogen budgets of 4 agroecosystems with annual and perennial crops with and without N-fertilization. J. Appl. Ecol. 27, 60-84. Paustian, K., Parton, W. J., and Persson, J. (1992). Modeling soil organic matter in organic-amended and nitrogen-fertilized long-term plots. Soil Sci. Soc. Am. J. 56, 476-488. Rao, P. S. C., Jessup, R. E., and Hornsby, A. G. (1982). Simulation of nitrogen in agroecosystems: criteria for model selection and use. Plant Soil 67, 35-43. Schimel, J. (2001). Biogeochemical models: implicit versus explicit microbiology. In "Global Bio-geochemical Cycles in the Climate System" (E.-D. Schulze et al., eds. ), pp. 177-183. Academic Press, San Diego. Six, J., Conant, R. T., Paul, E. A., and Paustian, K. (2002). Stabilization mechanisms of soil organic matter: implications for C-saturation of soils. Plant Soil 241, 155-176. Sleutel, S., De Neve, S., Prat Roibas, M. R., and Hofman, G. (2005). The influence of model type and incubation time on the estimation of stable organic carbon in organic materials. Eur. J. Soil Sci. 56, 505-514. Smith, J. U., Smith, P., Monaghan, R., and MacDonald, J. (2002). When is a measured soil organic matter fraction equivalent to a model pool? Eur. J. Soil Sci. 53, 405-416. Smith, P., Smith, J. U., Powlson, D. S., McGill, W. B., Arah, J. R. M., Chertov, O. G., Coleman, K., Franko, U., Frolking, S., Jenkinson, D. S., Jensen, L. S., Kelly, R. H., Klein-Gunnewiek, H., Komarov, A. S., Li, C., Molina, J. A. E., Mueller, T., Parton, W. J., Thornley, J. H. M., and Whitmore, A. P. (1997). A comparison of the performance of nine soil organic matter models using datasets from seven long-term experiments. Geoderma 81, 153-225. Sohi, S. P., Mahieu, N., Arah, J. R. M., Powlson, D. S., Madari, B., and Gaunt, J. L. (2001). A procedure for isolating soil organic matter fractions suitable for modeling. Soil Sci. Soc. Am. J. 65, 1121-1128. Stanford, G., and Smith, S. J. (1972). Nitrogen mineralization potentials of soils. Soil Sci. Soc. Am. Proc. 36, 465-472. Thornley, J. H. M., and Cannell, M. G. R. (1992). Nitrogen relations in a forest plantation—soil organic-matter ecosystem model. Ann. Bot. 70, 137-151. Thornley, J. H. M., and Verberne, E. L. J. (1989). A model of nitrogen flows in grassland. Plant Cell Environ. 12, 863-886. Van Veen, J. A., and Paul, E. A. (1981). Organic carbon dynamics in grassland soils. 1. Background information and computer simulation. Can. J. Soil Sci. 61, 185-201. Van Veen, J. A., Ladd, J. N., and Frissel, M. J. (1984). Modeling C and N turnover through the micro-bial biomass in soil. Plant Soil 76, 257-274. Verberne, E. L. J., Hassink, J., Dewilligen, P., Groot, J. J. R., and Vanveen, J. A. (1990). Modeling organic-matter dynamics in different soils. Neth. J. Agric. Sci. 38, 221-238. Voroney, R. P., Van Veen, J. A., and Paul, E. A. (1981). Organic carbon dynamics in grassland soils. 2. Model validation and simulation of the long-term effects of cultivation and rainfall erosion. Can. J. Soil Sci. 61, 211-224. Wu, L., and McGechan, M. B. (1998). A review of carbon and nitrogen processes in four soil nitrogen dynamics models. J. Agric. Eng. Res. 69, 279-305. Yang, H. S., and Janssen, B. H. (2000). A mono-component model of carbon mineralization with a dynamic rate constant. Eur. J. Soil Sci. 51, 517-529.